Are you considering taking a DNA test? Have you taken a DNA test to learn about your ancestry? Are you confused by the results? This workshop covers the kinds of tests available, the major DNA testing services and the differences between them, and how to interpret your results to get the most out of them. 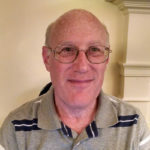 David Ellis is JGSGB Board member and leader of the Litvak and Galicia SIGs. He discovered dozens of ancestors unknown to his relatives and initiated contact with distant cousins who were out of touch for many years. He enjoys helping people research their ancestry and is writing a document describing his research. Following the workshop we will provide an optional buffet lunch at 12 noon for $20. Advance reservations are required and must be purchased online by 9 PM on April 30. Lunch cannot be purchased at the event.